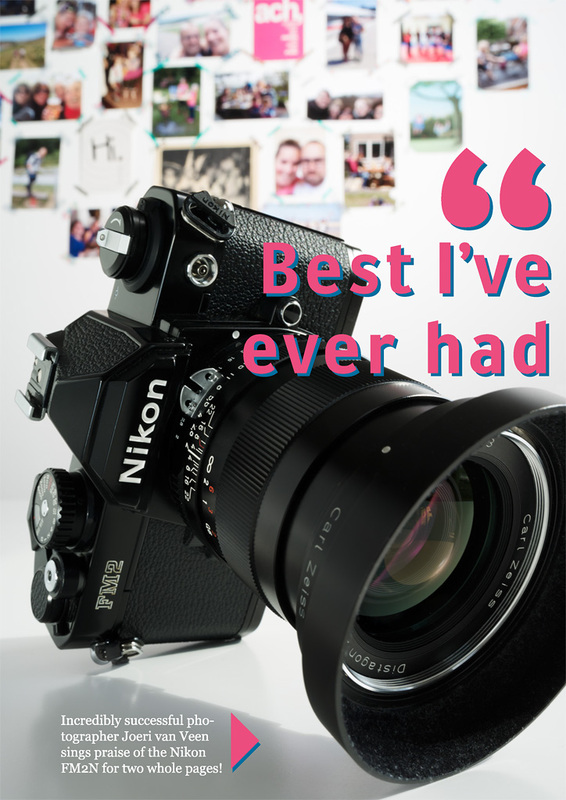 No piece of metal is worth more to me than my Nikon FM2N, except maybe a couple of wedding rings. And that is precisely why I am selling this phenomenal piece of photographic machinery together with its favourite companion, the Carl Zeiss ZF 2/28. I’m getting married. The decision to sell this camera felt like how the chopping off of a head by a guillotine might feel. You can hear the blade coming, anticipate, but when it hits it’s still suddenly gruesome. 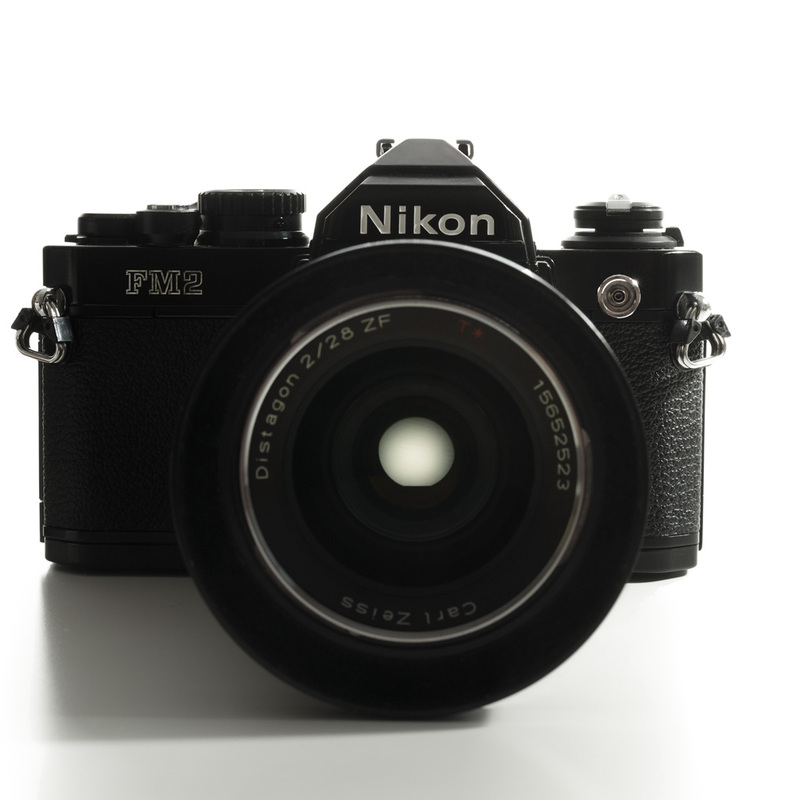 I cannot let the FM2N go without a proper homage, so let me tell you why I looooooove this machine. The Nikon FM2N is a fully mechanical single lens reflex camera, the battery in it only powers the light meter (for years, and years, … and years). You can use all the functions of the body without battery using the sunny sixteen rule or an external light meter. The shutter is completely mechanical. Transport is by hand using the traditional transport lever, which doubles as a lock-switch: when folded onto the body the shutter release button is locked. You unlock the camera by pulling the lever slightly with your thumb, ready to transport. Which brings me to the ergonomics: the FM2N is by far the most logically laid-out camera I know. It fits perfectly into both hands and holding it the right way (left hand supporting the lens) one can access all the necessary functions without lifting the eye from the viewfinder. Right index finger on the shutter release, thumb on the transport lever, with both these fingers you can also easily change shutterspeed while holding the camera steady predominantly with your left hand, right ring finger presses the depth of field preview button. The left hand takes care of the focus and aperture on the lens. Many camera SLR cameras have the dof-preview-button to the left of the lens and / or the shutterspeed dial to the left of the prism, this is a mistake, the controls are virtually inaccessible to your left hand over there while your right hand is just doing nothing. Holding the Nikon FM2N means never letting go: you can use everything without repositioning your hands. But this does not fully explain why the FM2N should be so iconic. Also, a fully mechanical shutter with an x-sync of 1/250 and a topspeed of 1/4000th of a second is no mean feat and unrivalled in the history of photo cameras to my knowledge (the FM3a uses a hybrid shutter), but would it inspire a lot of love? Erm, guess not. What it stands for though might: uncompromising engineering precision, built to last. Not only is this little Nikon extremely elegant to handle, it also feels solid beyond comparison, the clicks still clicking perfectly after decades of use, the shutter never skips a beat. The sleek cold metal housing inspires confidence. There is no fat on this body, nothing is superfluous. This fully mechanical Nikon body is the perfect companion to any (early) Carl Zeiss ZF offering, especially the 2/28: a beautiful wideangle lens with a large aperture and short close focusing distance. Perfect for landscapes, street photography and environmental portraiture. The Carl Zeiss 2/28 offers very smooth focusing, rock solid coupling to the Nikon body and of course stellar image quality including “instant coolness” the Zeiss lenses are famous for (I think it comes from Zeiss’ emphasis on sharpness center frame rather than overall aberration correction in the older lens designs). This wideangle lens is pretty flare resistant and colour-correct as well with the T* coating, though part of the charm of these traditional Carl Zeiss lenses is of course the visible consequences of the optical design. An advantage of such functional design is that it never goes out of date. If you would develop the best manual wideangle and the cleverest single lens reflex film body you would get this pair. Even in 2016. The FM2N is the pinnacle of SLR evolution, a classic with the best internals ever made and looks the part. 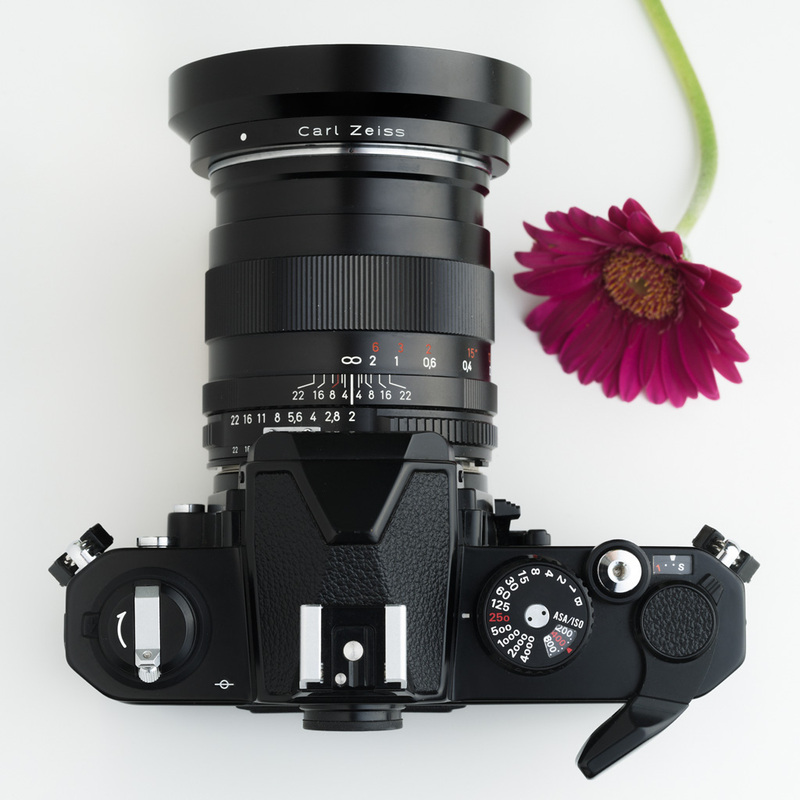 Especially the all-black version which matches perfectly with the Carl Zeiss ZF offerings. Please pry it out of my hands or I will not be able to marry. 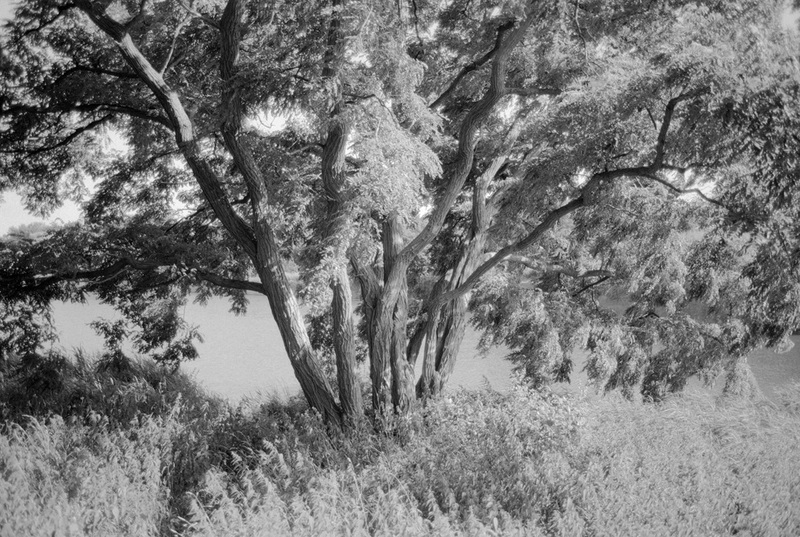 Photographs I shot with the Nikon FM2 + Carl Zeiss 2/28 ZF. Historic context: Nikon FM2 on wikipedia.